The marketing for Rage 2 so far, as entertaining as it’s been, has centred entirely on the intense action and the open-world itself, but the wasteland of Rage 1 was filled with crazy, likable, believable, and highly entertaining personalities. So where are they in Rage 2? We spoke to Loke Wallmo, senior designer at Avalanche, and Tim Willits, studio director at id Software, about the characters of Rage 2 and whether they’re as vital to the sequel as they were in the first game. 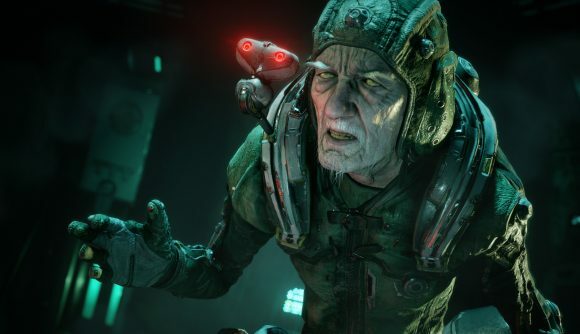 Tim Willits points out that the recently released ‘Eden Assault’ extended gameplay video actually brings in one character from Rage 1 – Dr Antonin Kvasir, the slightly crazy scientist who deeply hates the Authority, the Empire-like bad guys of the wasteland.